My Schedule…and A Little Extra: I’m in Scottsdale at my in-laws all week…I am working. We arrived last night after a long day of driving from Palm Springs. Being in the car with a seven and four year old, and a wife, took a long time. Along the way we hit more toilets than I thought possible and even hit the desert landscape a few times. But as long as I get to eat my traditional road-trip beef jerky, I’m just as coolio as can be. | The last time I wrote A Little Extra I linked to vanity cards written by Chuck Lorre, producer of the sitcom The Big Bang Theory. His Vanity Card #382 wasn’t published at the time of my email…it has the title of country songs not yet written…my favorite is Your wife don’t love me no more…LOL! J | Click here to read my Cystic Fibrosis post and click here to read my wife’s post and charitable contribution request. Mystery Lyric: You don’t have to be beautiful to turn me on — I just need your body, baby, from dusk till dawn — You don’t need experience to turn me out — You just leave it all up to me, I’m gonna show you what it’s all about now — Answer. My Market Watch: Yesterday was a crazy day for bonds and rates. I wish I had access to a laptop during my travels so I could send out some information, but alas, it had to wait for this morning. 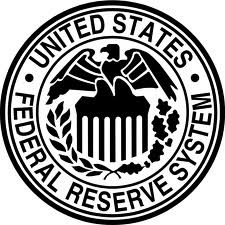 The Fed released its minutes of its meeting and traders read it carefully looking for tidbits of information to predict the future. As a general rule, if they interpret the minutes to mean the economy is improving then they will invest in stocks, typically sell off bonds, and rates end up worsening – this is what happened yesterday. So, what was in the Fed minutes that made traders freak out? The minutes hinted there would be no Quantitative Easing and as a result, traders sold off bonds which drove rates down. If you want to know more about QE, read my previous post. This morning, bonds are getting some relief mainly due to reports that things are lousy in Europe. Let me know if you have any questions or comments…. My Schedule: I am working all day and not sure if I’ll be at my in-law’s place or a Starbucks, but who cares…as long as I have an internet connection and coffee I’m solid, like a rock. IT IS VERY LIKELY YOU CAN GET AN EXCEPTION if InterBank has an overlay permitted by Fannie Mae, and, I can usually get you an answer the same day. The key is to get a DU Approve/Eligible. If you get it, email me right away…. Locking: If you need to lock immediately and cannot wait for an answer to the exception request, then lock the loan using loan parameters as close to the actual scenario as possible. Please be mindful that if the exception is not granted, you will have to cancel the lock which could ultimately affect your scorecard. Therefore, you might want to discuss the request with me before you lock to see if I feel we have a good chance to get it. However, we cannot protect the rate for you unless you lock the loan. Let me know if you have any questions, okay?